In our commitment to address specific issues by both men and women, we present to you 5 of the best performing body washes and the best shower gel for men in the market today. These products were then assessed based on their effectiveness to remove dirt, their gentleness on the skin, and their affordability for us to name what we believe is the best body wash for men. If you are a fan of menthol, you’ll love the Cool 3-in-1 Body Wash by Nivea Men. A 3-in-1 product, it gently yet effectively cleanses the skin without drying it out. The Therapeutic Soap by Oleavine is for those who love natural products. Great for men and women, it comes in a concentrated formula that helps relieve us from any skin discomfort. Everyone’s Soap for Every Man is the second organic product in this list. A multi-tasker, it is infused with plant-based ingredients and essential oils to soothe and nurture dry, irritated skin. Old Spice’s Pure Sport Body Wash will surely leave you smelling like a man. It promises to scrub away “three degrees of shame” for a total-body clean. Here are the best smelling body wash for men you can display in your shower room with pride. This is the best smelling men's body wash because it leaves skin with a long-lasting, icy menthol scent. It gives a complete clean with the cool, menthol-y feeling that stays on your skin. A multi-tasker, this product has the benefits of a face, hair, and body wash in one. It gently yet effectively washes away sweat and dirt while moisturizing the skin to relieve it from dryness. This product comes in a blue, icy gel that gives out a good lather and can be easily rinsed off. It is dermatologically-tested, which kind of serves as assurance that you’re safe with this product. We have to warn you though, that this shower gel can’t be used “down there.” We came across the harrowing story of a reviewer who experienced a burning sensation when…you know. Despite that incident, we still believe that this is the best men's body wash. It has everything a man could ask for, so there’s really no reason why you should hate it. You’re probably looking at the best natural body wash for men. Formulated with Tea Tree and other essential oils, this product fights away bacteria that can cause foot and body odor. And since it has Tea Tree, this organic body wash is ideal even for those with oily skin. It also comes in a concentrated formula that can help soothe dry, inflamed, and itchy skin. Enriched with Omegas 3, 6, 7, and 9, this body wash help nourish and moisturize the skin to provide it with long-lasting relief. It also helps fight against fungus, making it ideal as a foot soak. Neem oil is one of this antibacterial body wash’s main ingredients. Having been used for centuries, this ingredient helps relieve dry skin and even boost the production of collagen. Free of synthetic and harsh chemicals, this product is safe to be used on a daily basis. It is also gentle to be used by women, which doubles it as the best deodorant body wash for women, too. This is hands down the best men's body wash for oily skin. It helps keep oil at bay with its Tea Tree oil content, which then leads to more beautiful skin day after day. Being made from plant-based ingredients and essential oils make this the best organic body wash for men. Meant as a body wash, it can also play the role of a shaving gel and a shampoo. Plus, its bottle is made of recycled materials, too. So you’re kind of helping the environment in your own little way. Non-GMO, this body wash is infused with Orange, Lavender, and Cedar essential oils to relax the senses. Additionally, its Vitamins E and B5 contents add more moisture to hair and skin. This product takes pride in its patented EO Organic Herbal Blend. Blended with coconut-derived cleansers, it helps leave hair and skin softened and nourished. The best men's body wash for dry skin, this product is so gentle it can also be used on the face. It doesn’t have an overpowering smell, suds up easily, and can be washed off pretty quickly. The fact that it comes in a pump bottle is a huge plus for us. We think this is great because aside from being easy to dispense, it lowers the risk of the product being wasted. If you’re looking for the best man body wash that is free of irritants, give this product a try. We’re sure your sensitive skin will be glad you made the switch. This is by far the best men's hydrating body wash since it moisturizes and leaves skin soft with every wash. It has a refreshing scent and produces a good amount of lather you will surely love. We regard this product as the best smelling men's shower gel. If you’re familiar with the smell of Old Spice deodorants, simply put that in liquid form and you’ll have an idea of what to expect. But don’t get intimidated by that. Sure, its scent punches you in the face the moment you use it, but as you step out of the shower, it goes away quickly and only leaves a subtle aroma behind. 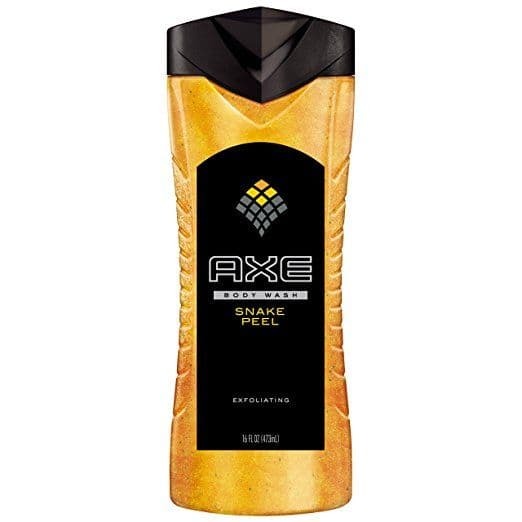 A fan favorite among men, this best scented body wash for men also appears to be a chick magnet. Based on reviews, girls love how “manly” their partners smell after using this product. So we guess that makes it worth the shot? There is no doubt that this is the best moisturizing body wash for men. It can help relieve skin from itching and flaking, because no matter where you look at it, dry skin isn’t attractive. Its cactus oil and desert minerals content make this the best exfoliating body wash for men. This is formulated to slough off dead skin cells for skin that’s more youthful-looking from head to toe. Dubbed as the “No. 1 Male Body Wash Brand in the World,” this shower gel adds an energizing kick to your daily bathing routine. The body needs exfoliation too, and this one’s the answer. Why go to the spa when you can have a rejuvenating shower at home instead? Aside from a good exfoliating experience, this best men's shower gel has a great fragrance as well. They call it a “masculine scent” that could either jump start or help cap off your day. A majority of men who use this product have “physically-demanding” jobs and are exposed to harsh, natural elements. On the other hand, some men prefer using this wash post-workout. We however dislike that it is not widely available in stores. Sure, exfoliation might not be the top priority of men, but we just found it a bit disappointing to say the least. We still believe this is the best men's shower gel. Aside from leaving you squeaky clean, it really helps you achieve a more youthful appearance after every wash.
Back in the days, soaps were all you needed to clean your body and smell fresh. Today we find ourselves surrounded with body washes that claim to be hydrating, exfoliating, or moisturizing. Which leads us to the question: what’s wrong with the traditional bar soaps? In a nutshell, bar soaps are harsher than body washes since they contain more chemicals that could irritate sensitive or dry skin. Body washes can also be found in the form of a shower gel. Whichever you prefer, what makes the cleanser of a man different from that of a woman? This is the reason their cleansers are stronger than ours. While Sodium Lauryl Sulfate is commonly used, you still must be careful in using it since it can dry-out the skin. Products containing benzoyl peroxide or salicylic acid are also popular among those with oily skin. But then again, use them in moderation so as not to strip the skin’s natural oils. Those with exfoliating benefits are also a must. Abrasive exfoliation is tolerated more by men’s skin, but they can opt for cleansers with hydroxy acids for exfoliation and anti-aging in one. Also, as we age, men should choose a product that helps lock-in moisture to prevent skin from drying out. And oh, have we mentioned fragrance? This is perhaps the biggest difference between the two. Body washes for women are sweet or floral smelling, while those designed for men are either spicy or sporty. However, dermatologists still suggest choosing products that are not scented to avoid the risk of allergies and irritation. All of us have probably tried using a body wash at least once in our life. Love it or hate it, there is no denying these liquid cleansers are here to stay forever. But with all the skin-friendly benefits they claim to have, which one actually delivers? The ﻿﻿﻿Cool 3-in-1﻿﻿ Body Wa﻿﻿sh﻿﻿﻿ by Nivea Men is the clear winner of this round as the best smelling body wash for men. It effectively cleanses and removes sweat and dirt without leaving the skin feeling dry. This product can also be used as a body, face, and hair wash. It guarantees to leave skin with a masculine, long-lasting icy menthol scent. It is also priced just right. So for those looking for the right balance between quality and price, this one’s definitely for you.